Gunner Boree manages to beat the tag on a play at the plate that gave Bolles the deciding run in the bottom of the first inning. 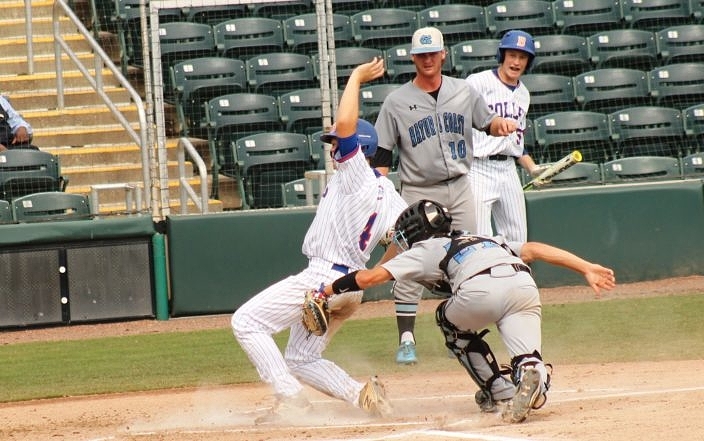 The Bulldogs have now earned the right to join elite and special company in Florida history, with the chance to become only the fourth Florida baseball team to win three straight state championships. 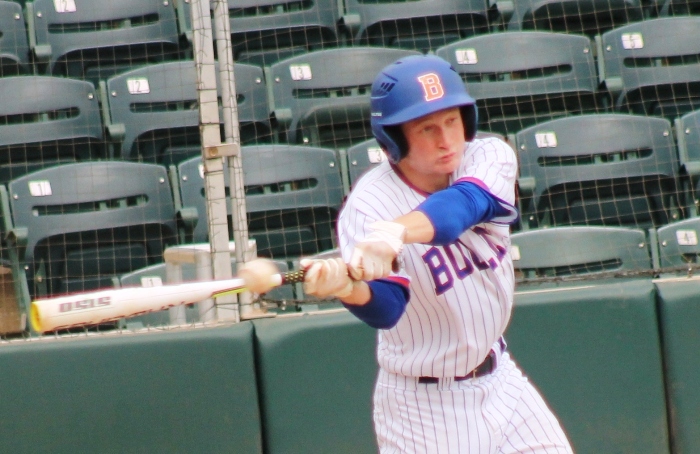 Bolles (24-5) will take on Monsignor Pace in Saturday’s title game, with an opportunity to join Westminster Christian, Archbishop McCarthy and the Canterbury Cougars as the only teams to ever three-peat. 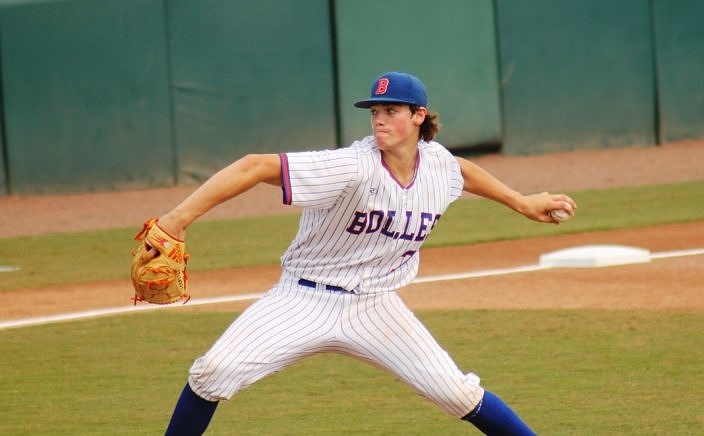 Junior Hunter Barco went the distance on the mound to earn the win for Bolles. Bryce Kirksey puts the bat on the ball while hitting in the first inning. Playing in the state Final Four for the very first time, even the Shark players admitted afterwards that they were not prepared for the intensity they faced right away. Certainly it is a challenge to play with the emotions of such a grand moment, while stile keeping yourself grounded and treating the moment like any other game.